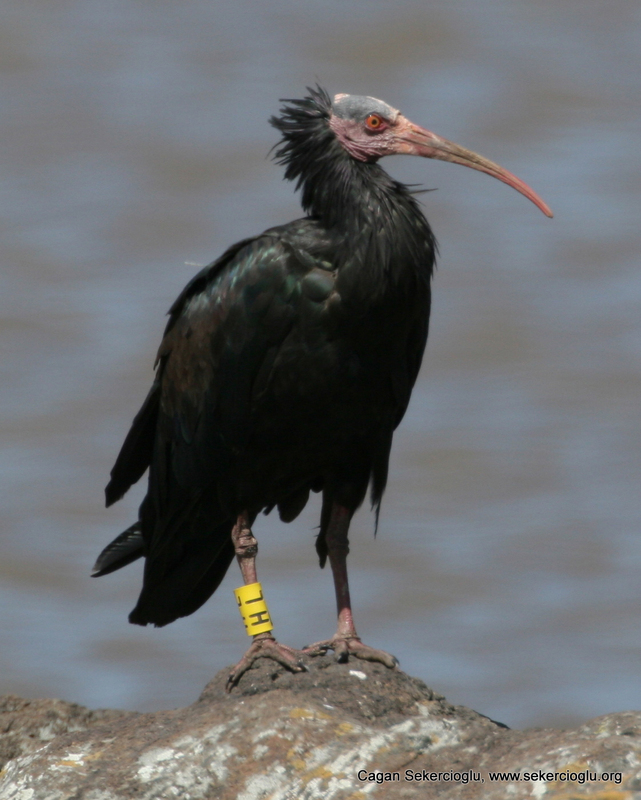 This critically endangered bald ibis was satellite tagged in the Syrian desert and traced by Cagan and researchers from the Ethiopian Wildlife and Natural History Society to a remote Ethiopian location. Image © Cagan Sekercioglu. Cagan’s new Biological Conservation paper highlights the importance of tackling major knowledge gaps on birds in the tropics. Although most species are found in the tropics, little research or monitoring is done there. Yet the need for monitoring and research on tropical birds is becoming ever more critical under climate change. Cagan’s paper covers how long-term, local programs can build on people’s natural fascination with birds to promote conservation. These programs make it possible to monitor population changes and collect other valuable information about birds. Bird-monitoring programs — whether using mist nets or banding — can also provide a focus for transmitting new hands-on skills. Once set up for birds, these programs can provide a base of skills and infrastructure to make it more easy to set up monitoring programs for other groups of animals. And alongside their very worthwhile conservation goals, such programs can also contribute to poverty reduction in the developing world. Cagan H. Sekercioglu (2011) Promoting community-based bird monitoring in the tropics: Conservation, research, environmental education, capacity-building, and local incomes. Biological Conservation.